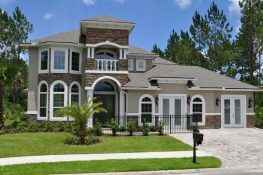 For more information about Eagle Landing, fill out and submit the form below or please contact a member of the Eagle Landing Sales team at (904) 291-7200. You may also visit us at the Eagle Landing Welcome Center. The Welcome Center is open daily – Monday – Saturday 10am to 5:30pm, Sunday 12 pm – 5:30 pm. December Only – the Welcome Center closes at 5:oopm daily.